The Authentic GeekVape Fused Clapton Pre-built Coil is made from Kanthal A1 and Nichrome 80 wires and features 0.35 ohm and 0.4 ohm. 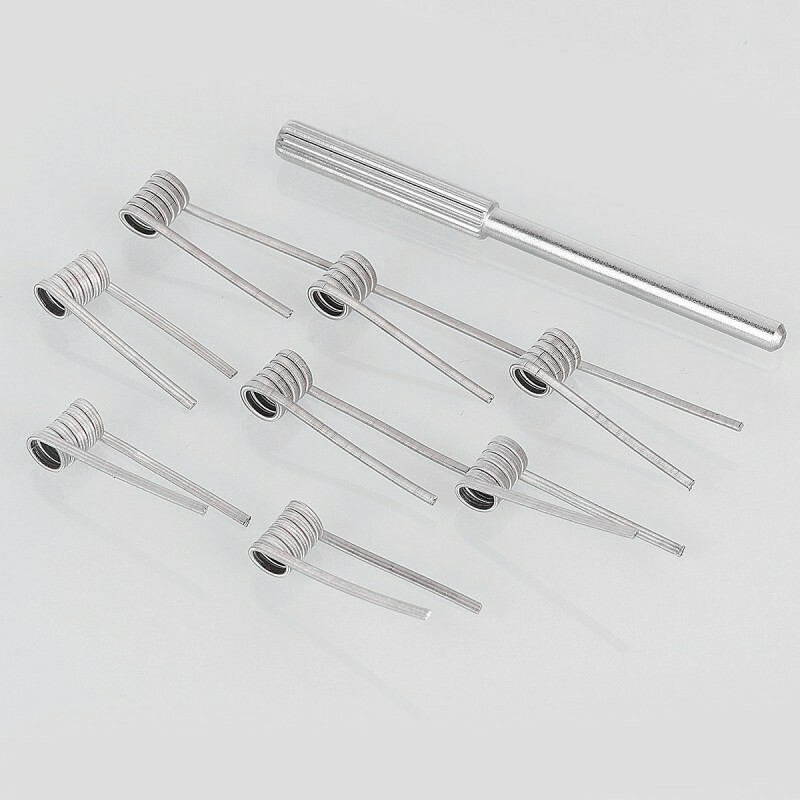 This pre-coiled heating wire comes with 26GA x 2 + 38GA, 28GA x 3 + 40GA coils. This heating wire will be a good vaping choice for DIY. DO NOT use pre-built coils because you will not get the full experience of rebuilding you have to make your own coils I do not have the PATIENCE for that. After much research I came across a couple of candidates of makers of pre built coils I decided t go with GEEKVAPE Am I glad I did. I went with the Ceekvape Ni80 Fused Clapton there 8pcs per pack there is 4 and 4 in 2 different sizes mainly the gauge of wire essentially one coils is just thicker than the other. The coils straight out of the pack are just beautiful although they are not handmade but made on a machine the quality of the coil is apparent everything is nice and tight all wound nice and snug together the quality is super apparent. 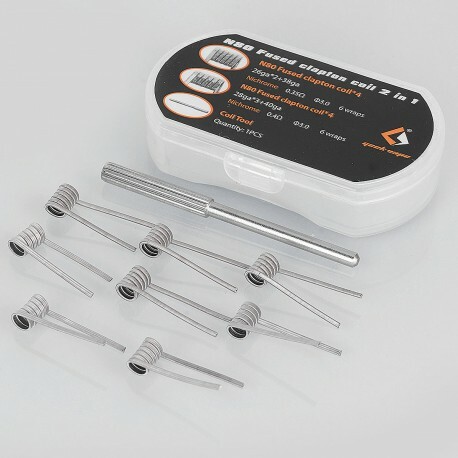 Every coil in the package is of the same quality top notch,you know sometimes you expect that you will get a couple of good one and the rest are all trash well this is not the case here. 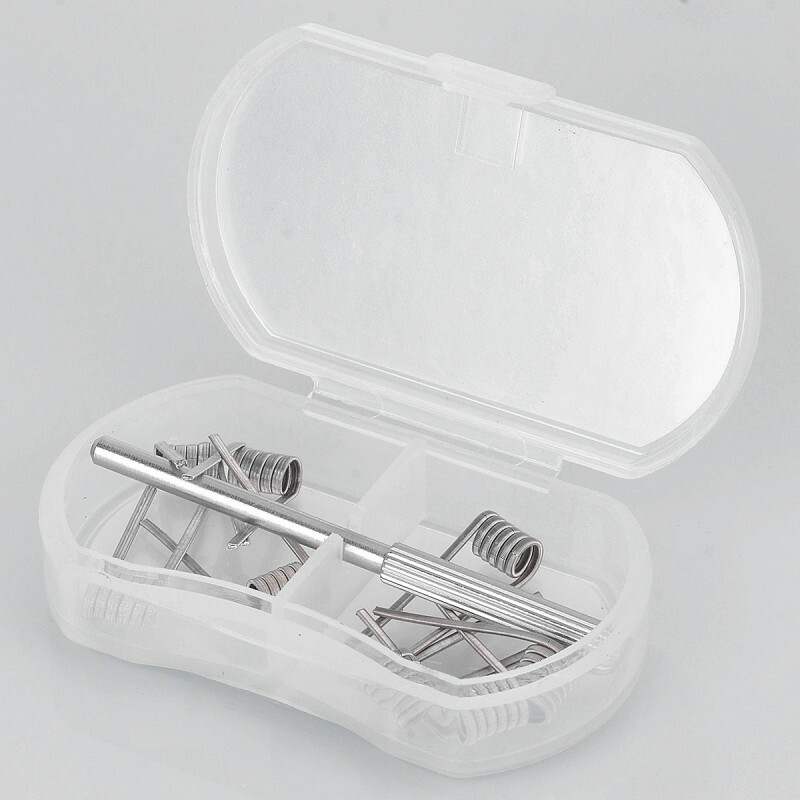 Geekvape also puts a small size coiling rod in the pack props to geekvape for including this. Now to the installation was easy and quick cutting the post with the some small wire cutters easy as hot knife through butter. Now came the firing and had one or two little hot spots nothing a few scrapes cant fix but not much needed to be done right out the box got both coil perfect and glowing. The Resistance by the way was pretty much sot on as indicated by Geekvape on the package, I only say this because I have used really cheap coils a few times the resistance was WAY off like by 0.5 or more but not these coils. So I have been using the same coils for almost 4 weeks now and still working great just a little cleaning before a re wick and they keep going and still firing as and producing flavor as the first time they were installed. I highly recommend the Geekvape Ni80 Fused Clapton coils to anyone to give a try especially to all those that believe that pre built coils are not good and do not produce flavor or that they don't last but a week or so those are all lies go ahead try them out you will not be DISAPPOINTED. Wow, surprise surprise! They are very Well Made and super Clean. I Have the 26x2 +38 in my druga, they came Out @ .16 ohms, flavour is awesome and big clouds bro clouds :D I think from now on they will go in the Shopping cart everytime i Order something from here!